Tackling installations from decorative lighting to loading dock illumination, the TRF-G30 LED-based light bulbs have an emitter configuration that provides light in all directions and an Edison base to directly replace Type 2 incandescent bulbs in any application. The shock- and vibration-resistant devices consume 13 W to provide an output from 510 to 970 cd and are available in red, green, and yellow, as well as super-bright warm and cool white. 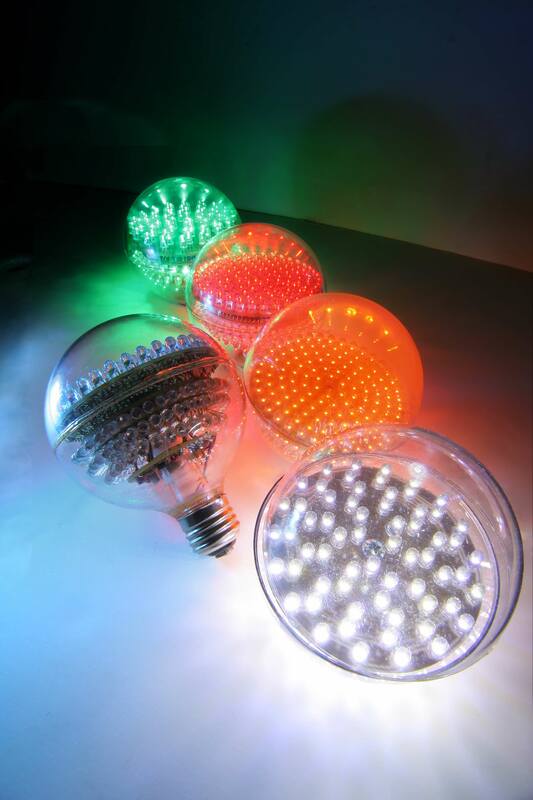 Prices for TRF-G30 LED Bulb retail from $158.00 to $199.95 depending on color and size. Large quantity discounts are available. Availability is stock to 4 – 6 weeks for special requirements. TRF-G30 LED Bulbs carry a 3-year limited warranty. 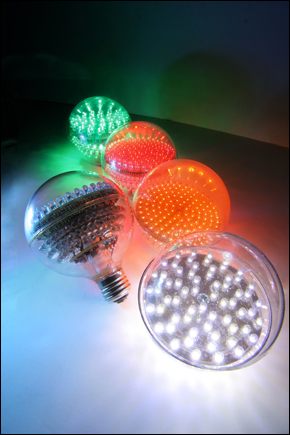 For additional information on how to incorporate G30 Bulbs into your product designs, contact LEDtronics toll free at 1-800-579-4875, telephone 310-534-1505, fax at 310-534-1424, click here to email us or mail at LEDtronics Inc., 23105 Kashiwa Court, Torrance, CA 90505. Visit our website at www.LEDtronics.com.